Launched in 2006, the Serial Inebriate Program (SIP) addresses the health, safety, and housing needs of chronic homeless adults living on the streets of Sacramento. The program consists of a partnership between Sutter Medical Center, Sacramento, the City of Sacramento, Sacramento County, the Sacramento District Attorney’s office, the Sacramento Police Department, Volunteers of America, the Downtown Sacramento Partnership, and Sacramento Self Help Housing. 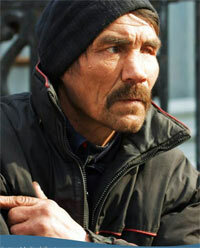 In March 2010 we prepared a report on the progress of former Tent City residents who are now living in our housing. In 2003 John Beltramo researched the difficult housing market in Sacramento for households with extremely low incomes.